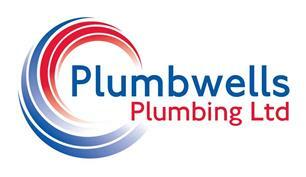 Plumbwells Plumbing Ltd - Bathrooms, Central Heating Engineer, Kitchens, Plumber based in Seaford, East Sussex. We're a small team based in Seaford, East Sussex. We believe that home is where the heart is and, therefore, it is important to trust quality workmanship. We provide a friendly and reliable service to our customers and will only carry out work to the highest standards. From fixing leaky taps, to boiler installations and servicing or completely new bathrooms and kitchens, we're here to help. Hi, we're David & Carla Wells. We set up Plumbwells Plumbing Ltd over 10 years ago. David has worked in the Plumbing industry for over 18 years now, and before that, worked as a general builder and decorator. We live in Seaford with our two children. Shawn Groves – Kitchen, Bathroom & Wetroom Specialist. Hi, I'm Shawn and I'm a kitchen and bathroom specialist and also a Gas Engineer. I live in Denton with my wife Sophie and our two children and love to play golf in my spare time. I started working in the school holidays at a local plumbing company when I was just 14 years old. I've now got over 10 years experience and I qualified as a Plumbing & Heating Engineer after completing an Advanced Apprenticeship in Mechanical Engineering Services. I live in Peacehaven with my family and enjoy playing sports in my spare time. a role focusing on delivering bathrooms, kitchens and wetrooms. I particularly like the feeling of seeing a transformation project through from first ideas, to creating the perfect bathroom for a customer. I live in Seaford with my family. Power Flushing - to improve the effectiveness of your current heating. We love installing new kitchens and bathrooms! We offer a complete service, including helping you to design your ideal space to fit the way you would like to enjoy it. We can provide a free estimate for the complete works, inlcuding tiling, flooring, lighting etc. and will carry out the works with a minimum of fuss and disruption to your home. We offer a flexible service to ensure happy, safe tennants with the minimum of fuss. a direct contact for your Tennant to contact if they have a problem. alternatively, you can contact us as and when you need help. We offer a free Landlord Safety reminder service - we can contact you when your annual gas safety checks are due for renewal. We believe that living in your home should be as comfortable and worry free as possible. If you, or a member of your family are finding it difficult to use your bathroom or kitchen, or are worried about trips and falls, we can help. Please get in touch and we will be happy to visit you to identify ways that you could be enjoying more freedom in your home and making every day life a little easier. Our team of qualified plumbers can help you with a wide range of plumbing jobs. Our main area of work is East and West Sussex, but we are happy to travel to parts of Surrey & Kent. Specialising in creating beautiful bathrooms and wetrooms.